Nestled within the verdant confines of the Vauxhall Pleasure Gardens is this cosy palace devoted to the appreciation of that most venerated of British drinks, tea (ignore at your peril the notice-warning?-on the front door that coffee is not served on the premises, and know the inadvertent request for such a refreshment will most likely lead to a few fraught arched eyebrows). 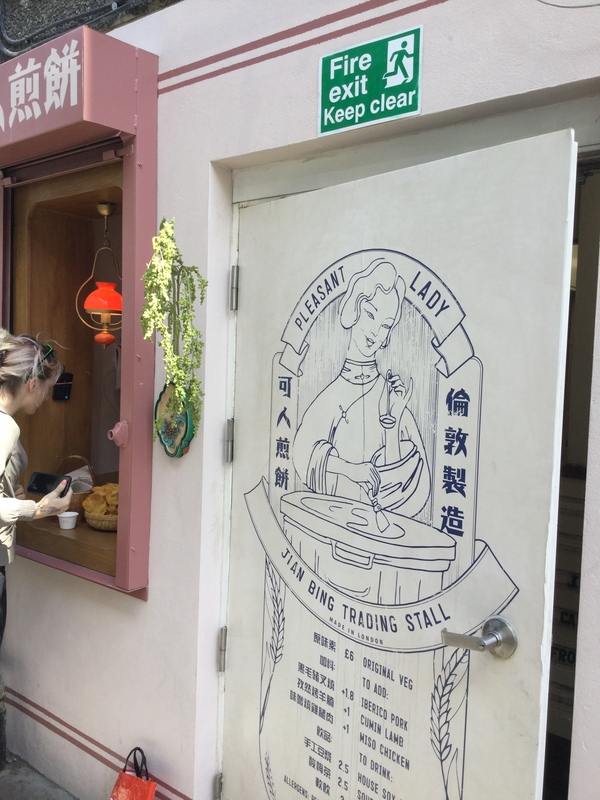 Operating as a tea house since 2011, the building dates from 1886, originally a Victorian public house-the Pleasure Gardens themselves are thought to be the inspiration for the eponymous “Vanity House” of Thackeray’s classic novel. The list of loose leaf teas is extensive, all choices served in proper pots (strainers provided), swaddled in cosies, served in stylish, if distressed, china cups-someone on staff has clearly been active at several estate sales. 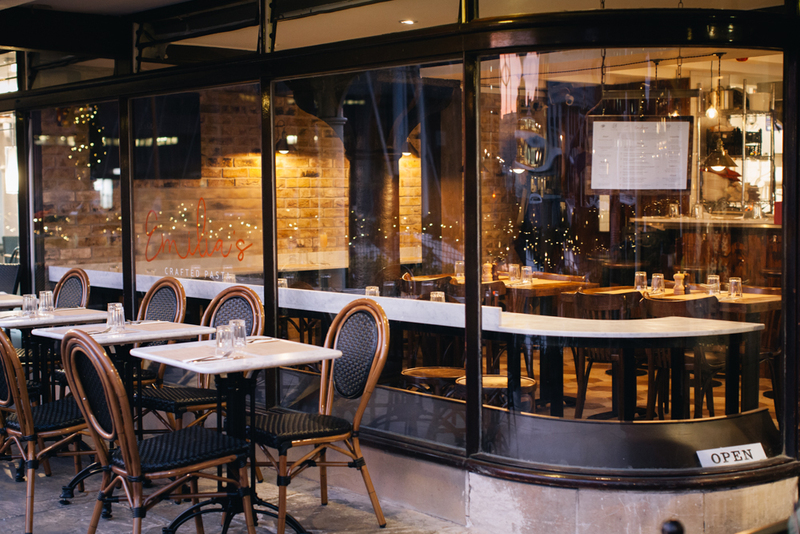 The surface of a back table is littered with tiers of drinking vessels, and a nearby chair piled high with a multitude of cosies, from which the servers gently plunder for each order. Classic FM provides the soundtrack, a sedate, tranquil backdrop to conversation. A comprehensive menu is served, from breakfast through to supper, although it is seductively simple to race straight to a sweet, treats dotted across the space, trays atop tables offering delicacies from cheesecakes to brownies to pies to breads. 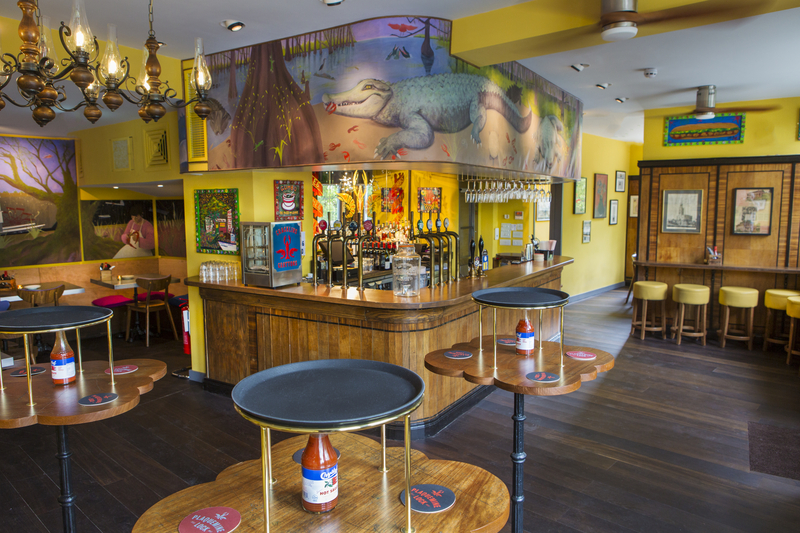 Decor is charmingly ramshackle and cluttered, suggesting the overstuffed parlours of your favourite eccentric auntie. A lively evening calendar assures a visitor of an interesting night’s entertainment-activities include staged readings, debates, drink ‘n draws, poetry slams, a variety of music acts. Whether seeking a low-key, civilised oasis of afternoon calm and peace or a spirited eventide of culture, this very agreeable space provides in spades. 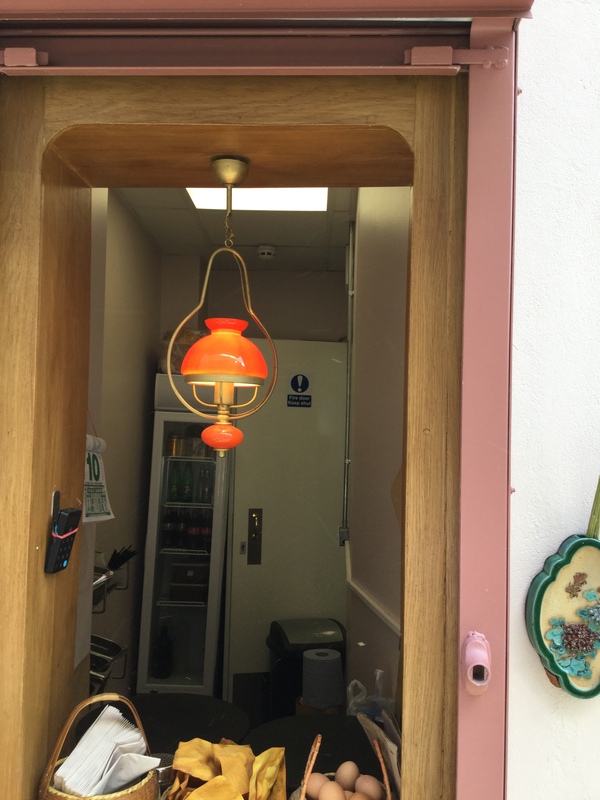 From an unassuming window just off the corner of Old Compton Street and Greek Street, comfort food, Chinese-style, is being dispensed to the Soho masses, an offshoot hatch (framed in a pleasant salmon pink) from neighbouring restaurant Bun House. 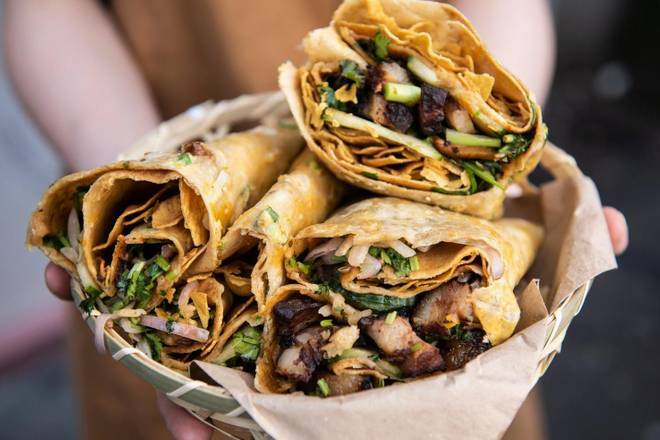 The dish is jian bing, a crepe-like item (also cousin to the burrito or traditional bap, according to founder Z He) that is the most popular street food on the avenues of China, a plethora of apertures pervading the central quarters feeding happy students and city workers. The process starts with what appears as a buckwheat base (actually a batter composed of ten essential grains) cooked on a copper griddle onto which an egg is broken and quickly added is cilantro, a sweet soy sauce and a dense dressing of fermented beans, sesame paste and peanut butter, finished off with (the truly innovative ingredient) crushed wonton chips, then folded over and placed in a signature paper bag and ready for takeaway and eating on the street as you stroll to your next destination. 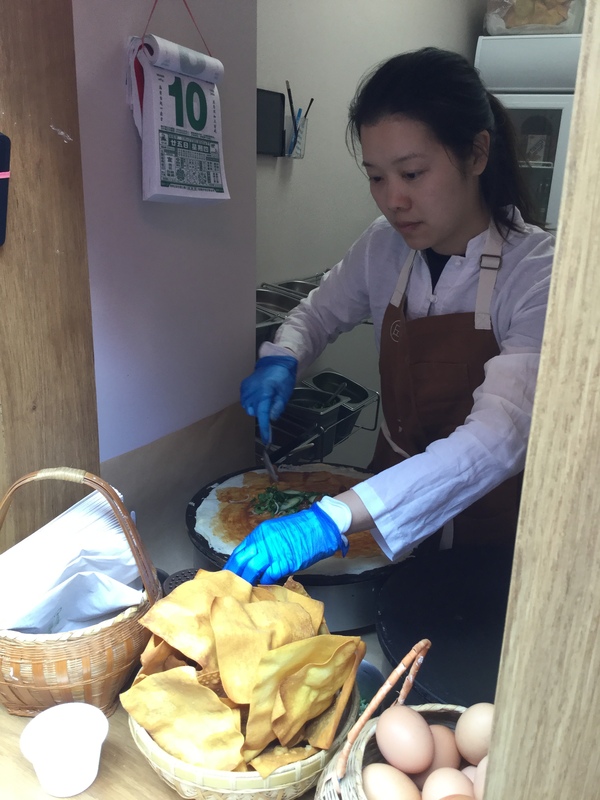 To the basic crepe (£6) may be added Iberico pork, miso chicken or cumin lamb (anywhere from a £1-£1.80 surcharge). 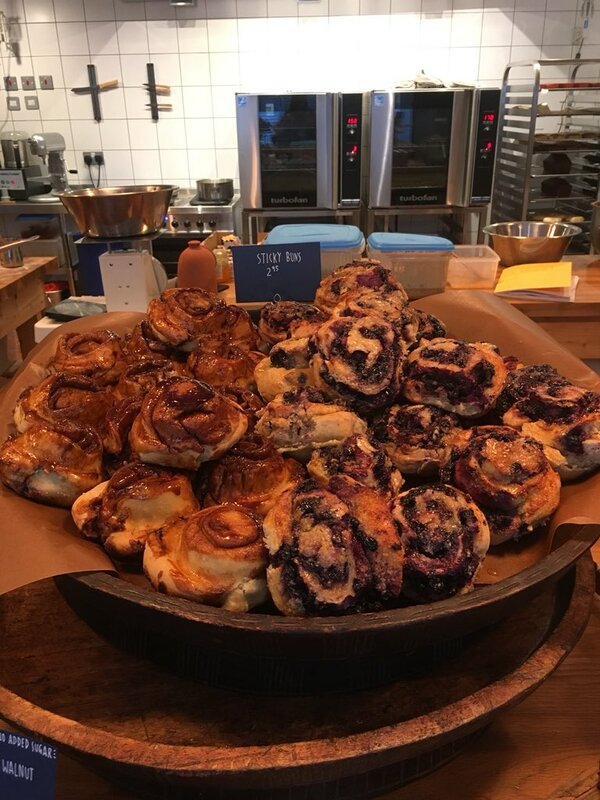 On my visit, the preparation was painstaking (perhaps as a result of being the first customer, the griddles may have needed time to properly heat) and precise, which, if not course corrected as the day progresses, could lead to frustrating queues. I’m certain that the pace of the cooking quickens as the day goes on and the demand rises (and griddle temperature maximises). Legend has it that a chancellor was tasked with providing a regiment of soldiers who had all lost their woks with a nourishing meal and so had cooks concoct an easy and efficient recipe with simple ingredients, received by the army with such ardor that they quickly fought their way out of an ambush and into significant victory, strengthened and heartened by this culinary invention. The source of the “pleasant lady” moniker heralds from an approximation of the last character of He’s name. For this elegant, graceful stand, it works. From the image, you may construe this recently opened venture from erstwhile co-founder of famed Soho cafe Fernandez and Wells (Jorge Fernandez) and Patisserie Organic originator Dee Rettali to be the latest boutique business to appear in a railway arch in either East or South London, but it is in fact located just behind the Russell Square Underground station on a quiet cobbled mews directly next to the venerable Horse Hospital (independent arts club specialising in subcultural studies, notably underground and experimental film), and neighbour to several small startup media businesses. 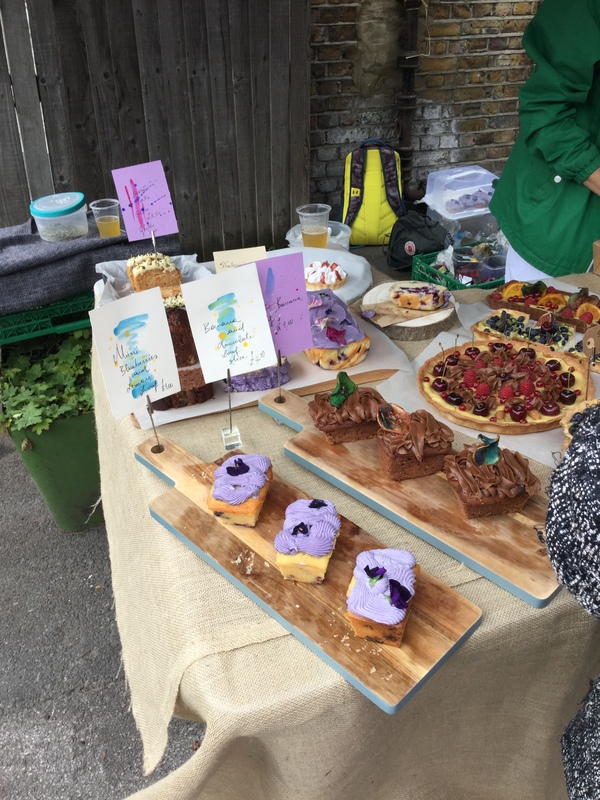 The emphasis is on slow ferment craft cooking in both sweet and savoury fields, the majority of the cakes baked with sourdough (as well as vegan and gluten free options). 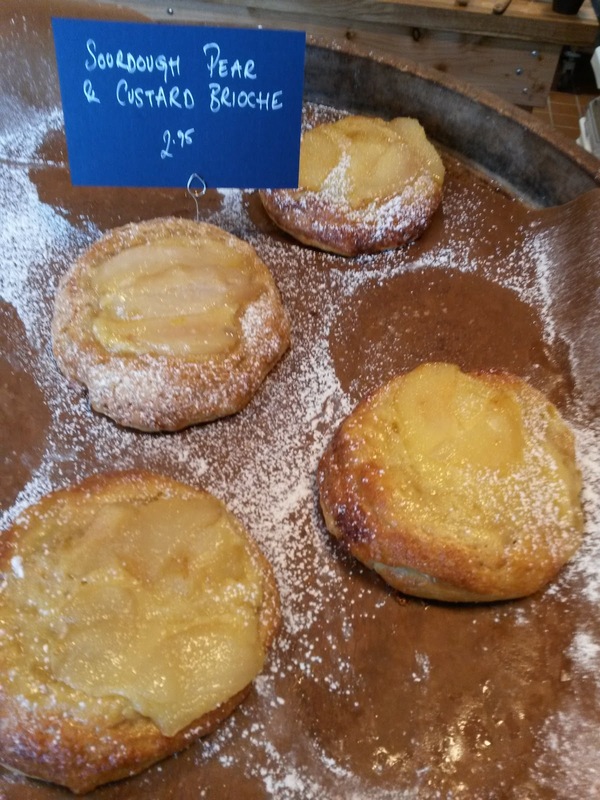 The pastries are the stars (at least in the early hours), munificently arrayed along the front counter, open-plan kitchen just behind, where the staff can be witnessed wholly employed in the creation of future delicacies, the environment warm and welcoming. On the day of my visit, the weather being agreeable, the front doors were swung to the side, tantalisingly exposing the seductive wares to passersby-the cafe is organised mostly as a takeaway enterprise, with only a few stools arranged along a narrow counter and, for the summer at least, a few tables just outside which will no doubt be highly coveted. 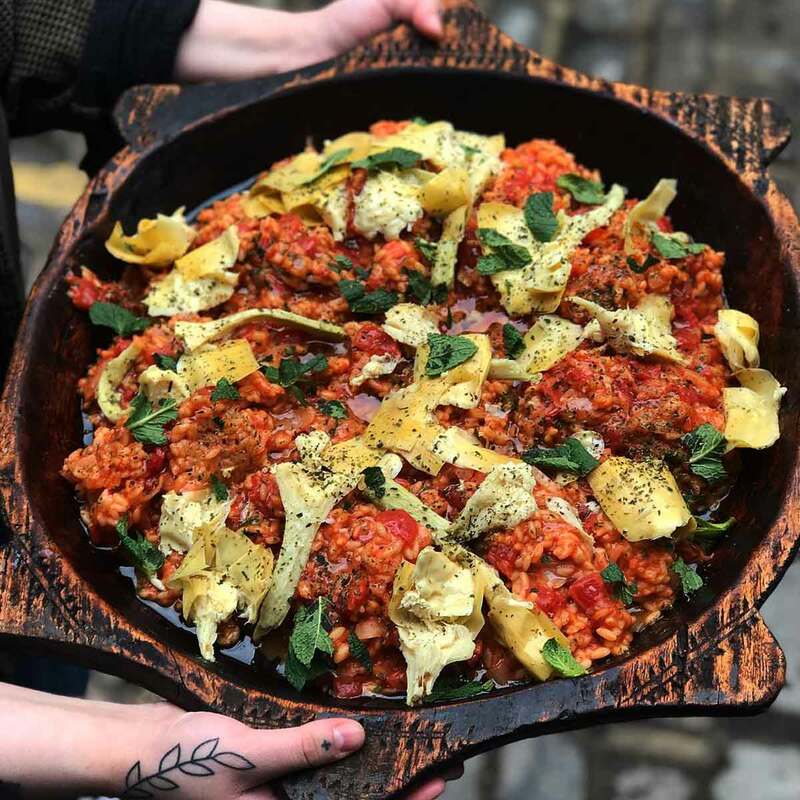 In addition to the baked goods, the cafe offers breads, salads, galettes, tartlettes, and Moroccan inspired Berber omelettes (akin to the on-trend shakshouka), as well as an intensely moreish granola, enormous clusters of grains, nuts and honey on a bed of yoghurt. Their Instagram feed will induce full activation of the salivary gland, appetising image after appetising image. I can speak for the orange-almond cake, both the bilberry (Eurasian cousin to the blueberry) and cinnamon-muscavado sticky buns and the densely rich and gritty chocolate berry loaf, all deliriously delicious and finely balanced in ingredient (the bakers will not be risk-averse in their choice of material, either, introducing such unusual and inspired touches as thyme, squash and black tea into the mix, amongst others) . If you’re in the area, it would be criminal not to stop and have a look at this dynamic new independent-only the heartiest of discipline will depart without a cake or good of some sort. 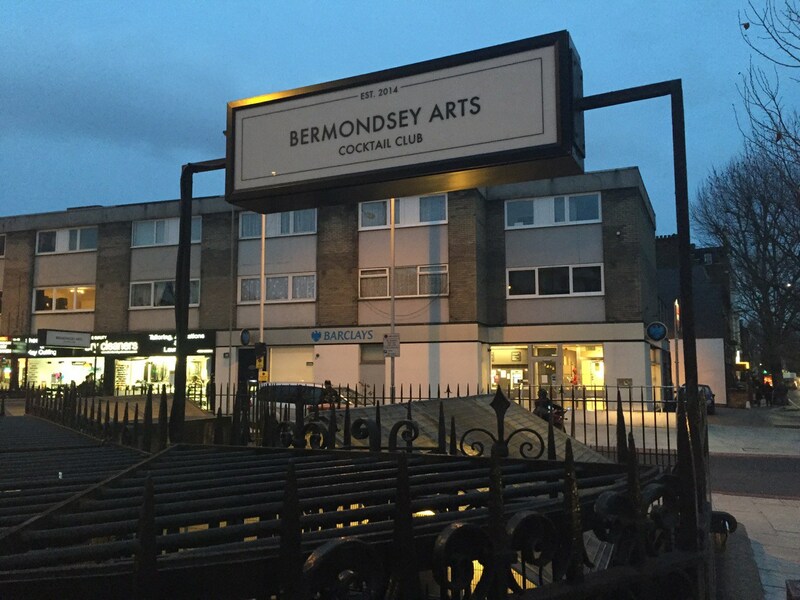 Formerly the site of an annual plein-air art show (run by Bold Tendencies), and home to the enduring top-floor bar sensation Frank’s Cafe (with its incomparable backdrop of the City horizon), this heretofore mostly disused car park just behind the Peckhamplex cinema is now, officially, ongoing affordable residence for business start-ups in the creative fields (fashion, design, music, film, all arts mediums, offering such facilities as dark rooms and sound rehearsal units), as well as social gathering spot for food and drinks. Five floors are designated studios and offices; the top two floors have been leased to street food vendors and one full-service restaurant (along with a spa-like yoga workspace and salon, with other businesses forthcoming). 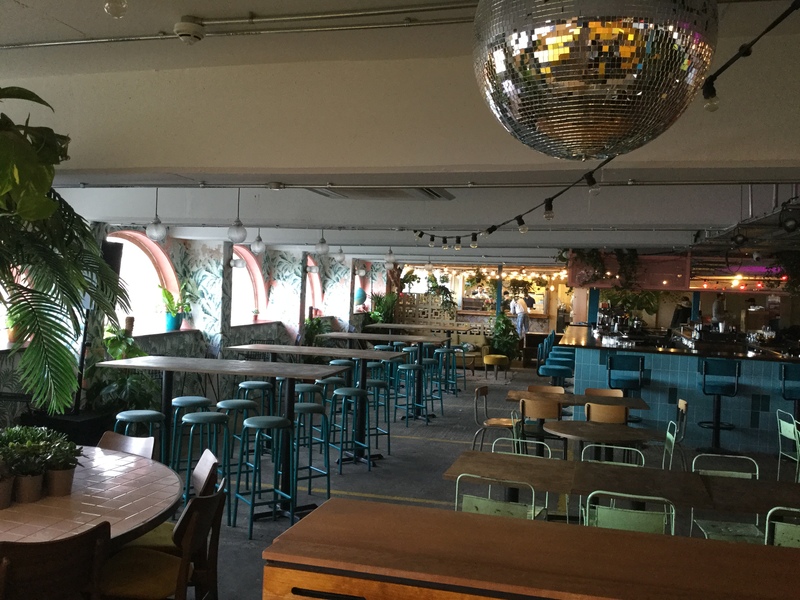 The accommodations are spacious, seating is casual (picnic tables and artfully arranged wooden bench constructions), and the bar area is rife with greenery, warm bare bulbs, accented with funky tropical print wallpaper and a mirrorball, trendy credentials all in place. The organisers are planning for a full calendar of events, including talks, forums, exhibitions, dj sets, all with an eye towards the local community, working with charities and community social support networks. Already one ramp space is generously given over to a graphic designer who has papered over the walls with a series of posters in bold typeface, each a slogan in a steadily spiralling story of empowerment and awareness, a declaration of intent. 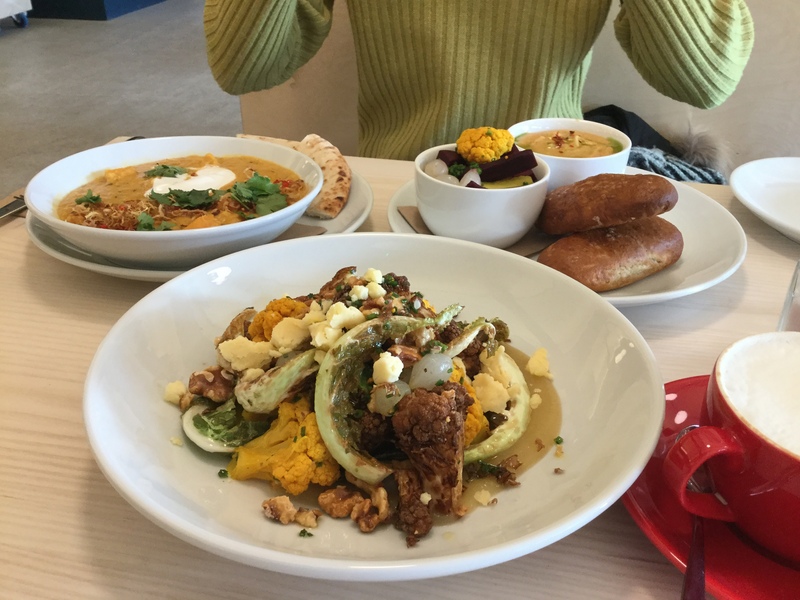 I sampled a good portion of the available brunch dishes at veggie/vegan restaurant Wild Flower, and it was with great palatable joy that I received each explosively piquant bite- the chefs provide some very novel and imaginative combinations of ingredients, a mix of raw and cooked product. A roasted (beautifully charred, in some cases) cauliflower plate with Bramley apple purée and crunchy walnuts and pickled onions was a coalescent marvel of competing flavours, a see-saw of the sweet and tangy; coconut dal was a nice balance of the sweet haze of squash and heat of sambal offset by a creamy-cool smear of yoghurt; and a small bowl of swede fondue, whirled into a paste, with pickled vegetables for dipping, and crusty pretzel rolls to sweep up the final crumbs, properly warmed the senses. There are also traditional egg choices for those who may not want to venture too far afield. 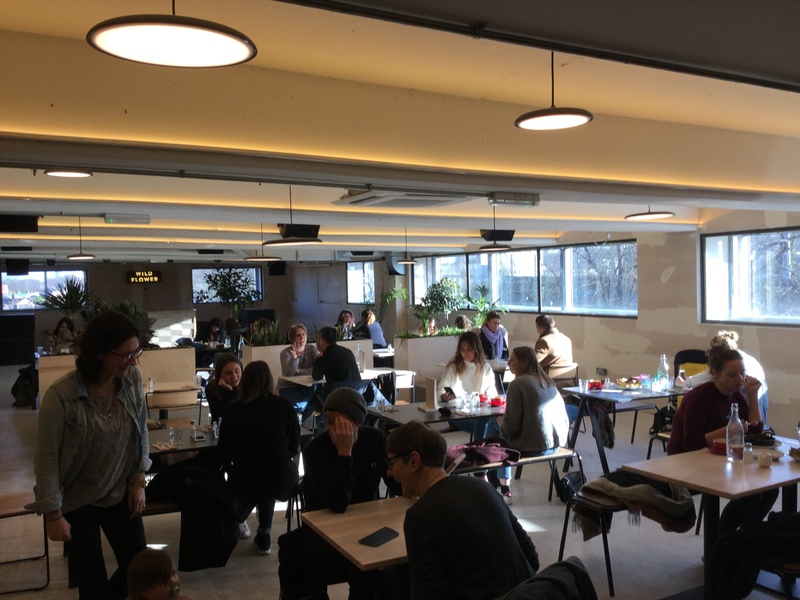 The room is warmly lit, offers canteen seating, and there is plenty of natural light from a run of windows on one side of the space, affording a busy, nicely distracting view of the train line and Peckham’s other arts hub, the venerable Bussey building (and now sibling), itself a hive of cultural enterprise and food services. 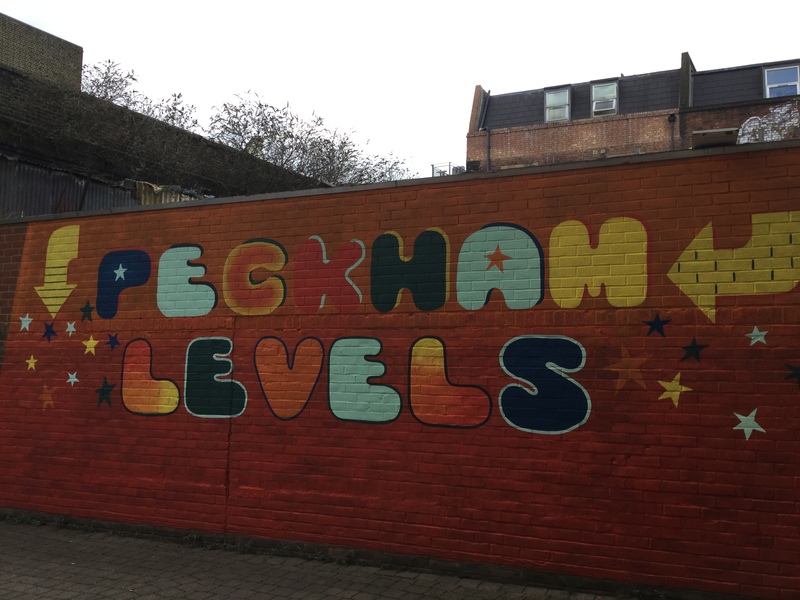 Along with Hackney, Peckham is presently London’s most in-vogue area, the first stop for creative colonisation. 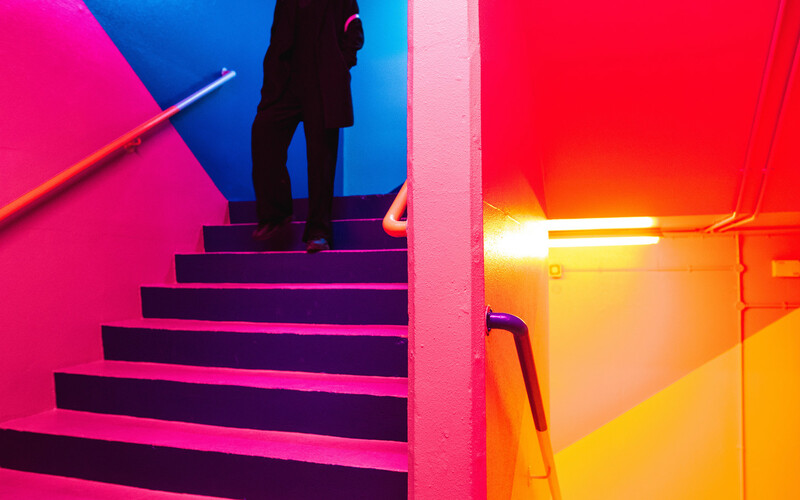 Visit my Instagram feed for a video walk down the multi-coloured stairwell! If you’ve ever nursed a desire to visit the picturesque St. Katherine Dock in Wapping, you now have absolutely the best excuse. 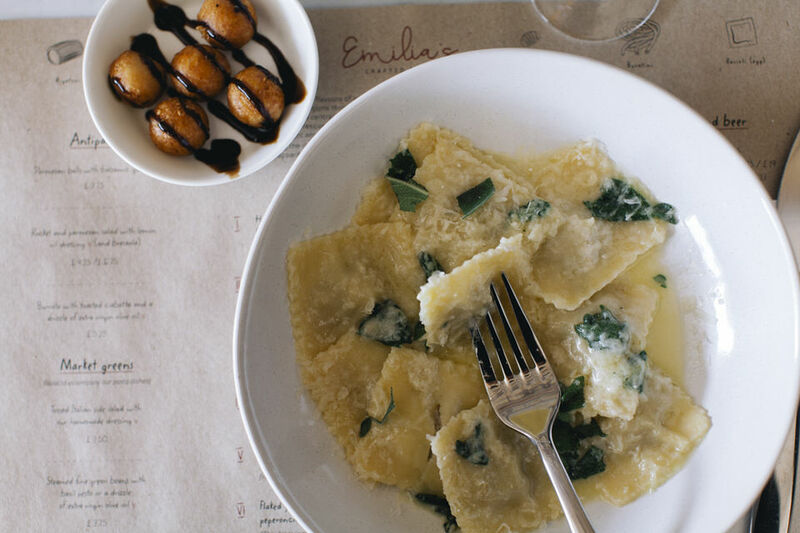 Located amongst a run of charming independent businesses (a local coffeehouse, wine bar, Mediterranean eatery, deli, tapas bar and the effusively beflowered front of the Dickens Inn, a former timber warehouse now repurposed as a pub with multiple restaurants), facing the marina, is this intimate, bespoke pasta palace. With a very succinct menu (7 mains, simply prepared with a modest two or three ingredients each, 2 salads, and a choice of 3 antipasti-including a decadently, impossibly creamy burata guaranteed to induce addiction with the first bite) and fresh pasta rolled out for each individual plate, this provides a clean, precise and piquant culinary odyssey. Service can be a bit leisurely, and the trim space, although warmly lit and appointed, can possibly be a bit too snug at peak hours (I’ve dined here twice in the summer months, so I’ve been spoiled with an al fresco seat), but with views so stunning and a location so elegant (perhaps angle your perspective so as not to include the unfortunate Brutalism of the Guoman Hotel at Tower Bridge), this will unlikely be too disruptive. 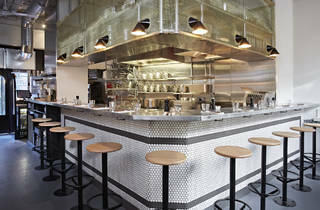 For a similar experience, with much more boisterousness and bustle due to its position just outside Borough Market and near to London Bridge station is Padella, another smart, affordable bistro with a tidy menu and a brevity of ingredients-take a stool at the counter and watch the hustling cooks prepare the vegetables and meats that go straight into the pots and pans and onto plates. It’s a tad more hectic than Emilia’s, and the view is a bit more brusque. 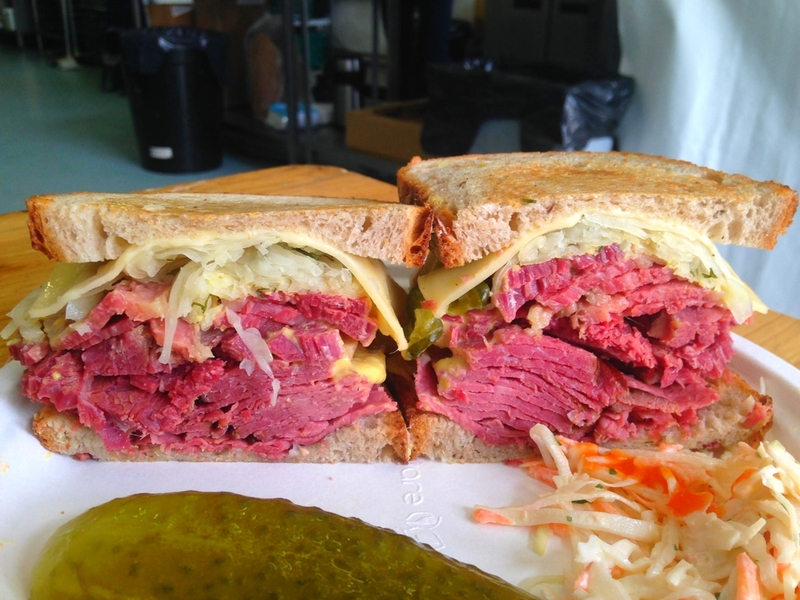 You no longer have to venture to the environs of Golders Green or Stamford Hill to sate the craving for beef brisket or corned beef (although plenty of folks find satisfaction at the primarily takeaway Brick Lane stalwarts Beigel Bake and Beigel Shop, both cheap and cheerful, beloved of bleary-eyed students, ravenous tourists and tweaked-out clubbers): Hoxton now has its own modern, proper sit-down institution devoted to Jewish staples. 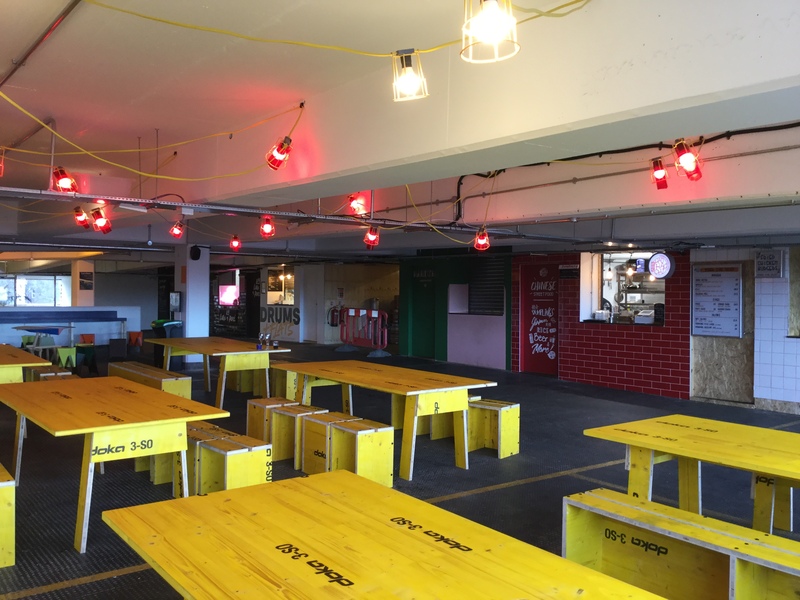 The owners founded their business, as so many do today, as a food stall at Maltby Street Market, steadily growing their enterprise and reputation (a Michelin-starred chef visited their arch quite randomly and declaimed the virtues of their salt beef sandwich). Desiring to bring back a traditional deli to the East End, a spot became available on a rapidly gentrifying Hoxton High Street, and the restaurant was opened just this past spring, a 65-seater in the recently shuttered space of the long-serving Anderson’s Bakery (after 150 years, the family that ran it through several generations decided to retire altogether). 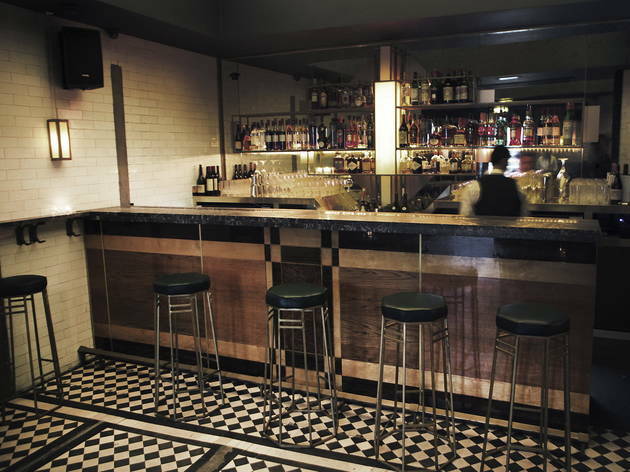 Monty’s has retained the weathered porcelain features, installed a black-and-white block tile floor, a smart, sleek modern bar that runs the length of the space, stylish wooden booths (each capped off with classic globe lamps) and a minimalist gathering of tables just inside the door. The fare is tasty and prodigious in portion, and will gratify any desire for this particular comfort food. 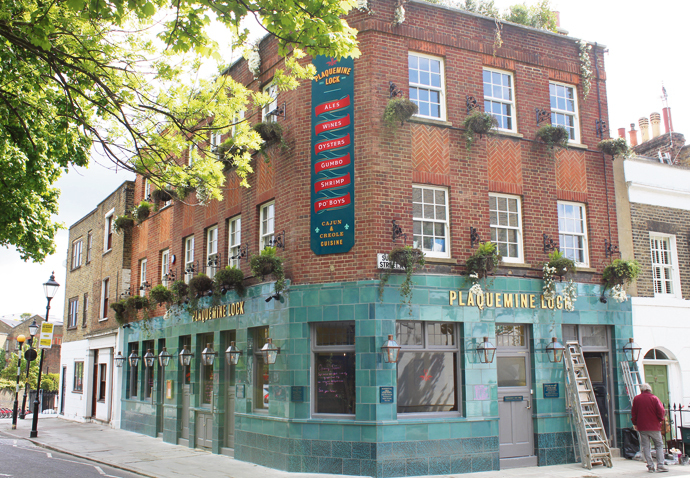 A traditional corner pub lot in a cosy nestle of beautiful Georgian properties in Islington, just off the Regent’s Canal, the Plaquemine offers a new menu devoted to the influences and flavours of Creole and Cajun cooking. 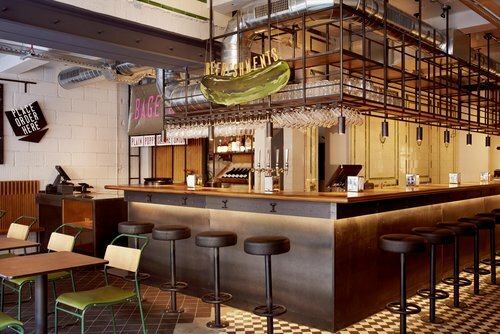 The space is a glory of gold tones and glazed wood, colourful murals and a few lush curves. I visited for Sunday brunch, choosing a spin on eggs Benedict (eggs Sardou-in addition to the traditional poached eggs and spinach, artichoke hearts were included, the base a piece of cornbread, smothered in a Creole hollandaise sauce), accompanied by a side of fried okra. Collards, grits, fried green tomatoes and biscuits are all on hand, as well. Dinner offers crawfish, po’boy sandwiches, cracklings and gumbo, with beignets for the sweet selection. You would be forgiven for believing you were dining perhaps in the U.S. state of Georgia (or Alabama or Tennessee). The new mangers are fully invested in the cuisine and sensibility, so for those with a fond taste for this tangy regional style have a new, welcoming place to gather. It couldn’t be a more inviting area of London in which to immerse yourself. 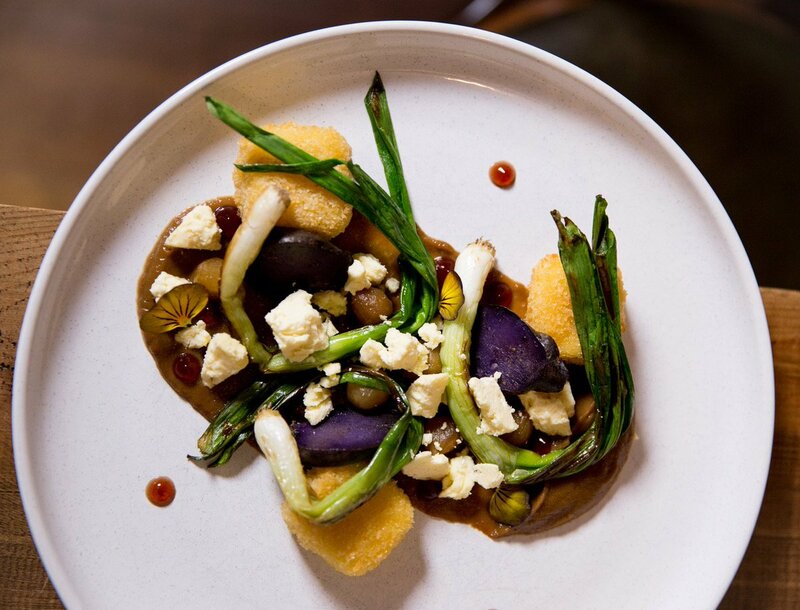 The most established business on this list (opening in 2004), a recent visit confirmed for me that this is the spot for London’s most stylish, sophisticated vegetarian cooking. 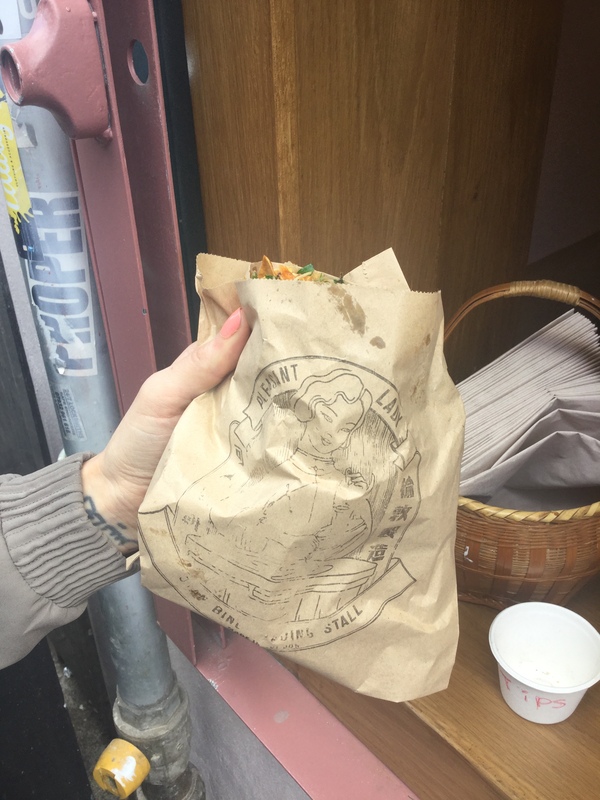 The owners insisted that the menu would not in the least rely upon soggy meat substitutes, (easy) heavy spicing, or overrely on the base of cheese and pasta. The dishes are wonders of imagination and creativity and design (precise placements of components, stellar swirls of sauces), but the plates are not just the sum total of their artful arrangements: the multiplicity and complexity of texture and flavour left me and my companions unable to not voice our pleasure and awe at every bite. Innovation with vegetables requires quite an artistic commitment, and in this regard the chef(s?) are terrifically restless in their studies. We were stunned at the marvelous deconstructions of ordinary ingredients-my peanut butter cheesecake appeared as if turned inside out, each aspect individualised, but combining to perfection with the sweep of the spoon. 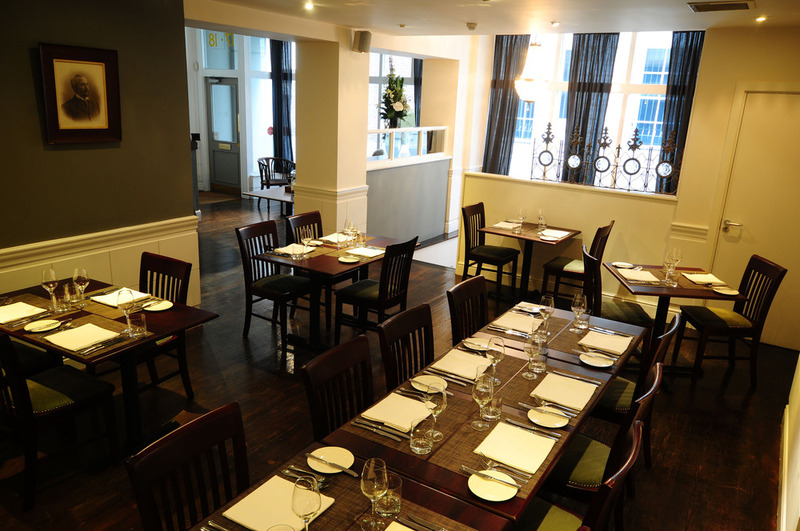 It’s not exactly inexpensive (£41 for three courses), but it is the perfect choice for a special occasion or for when friends visit, and the ambience is terrific-for all you know, you could be dining in someone’s parlour. 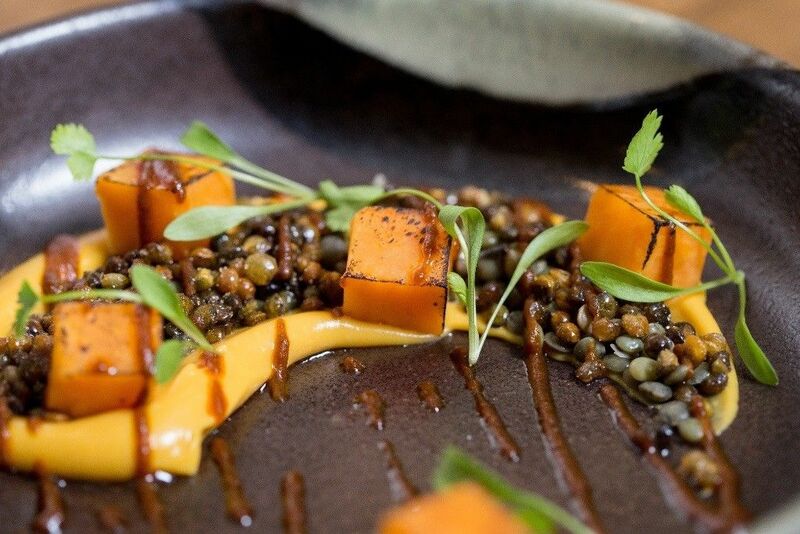 The feeling of exclusivity extends even to the location, an obscure side street off of Chancery Lane-but once inside, a guest is treated warmly and unpretentiously. The meal included a tart amuse-bouche of apple juice and celery, a swift little kick to the senses, opening the channels for the transporting meal to follow. 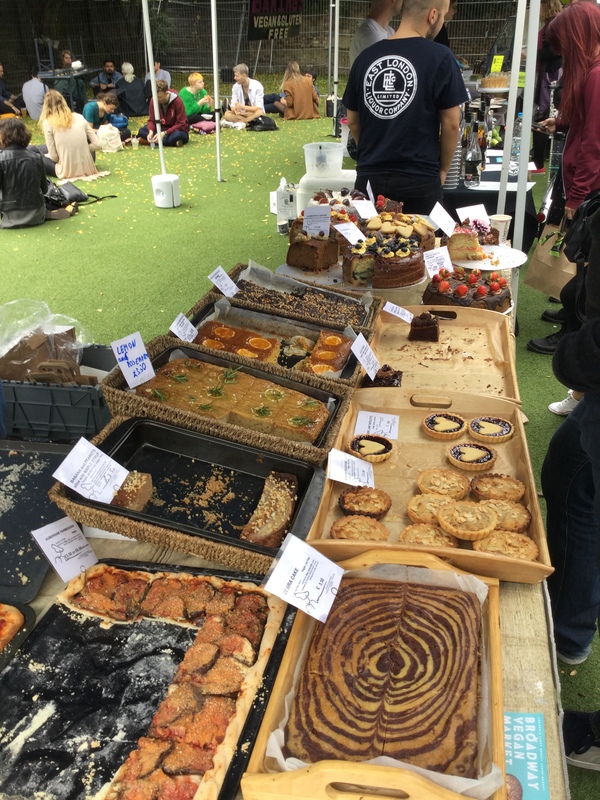 30 September saw the launch of London’s first weekly vegan market on the grounds of London Fields Primary School, situated in what is now officially (on Saturdays, at least) the most concentrated foodie corridor in all of the city, flanked by the august and continually buzzy Broadway Market on one side, and the compact Netil Market on the other (a creative hub of food, fashion and vintage design). Social media must have been working diligently on its behalf, as the gathered crowds on this inaugural date were dense, with intimidating queues at most every of the savoury food vendors by the time of my arrival (I would caution interested parties to arrive as early as possible-the market opens at 10:00a.m.-to avoid frustration and exasperation). There are about 30 vendors (with a preponderance of sweets sellers presently), with the idea of expanding to upwards of 60 if the market proves successful. 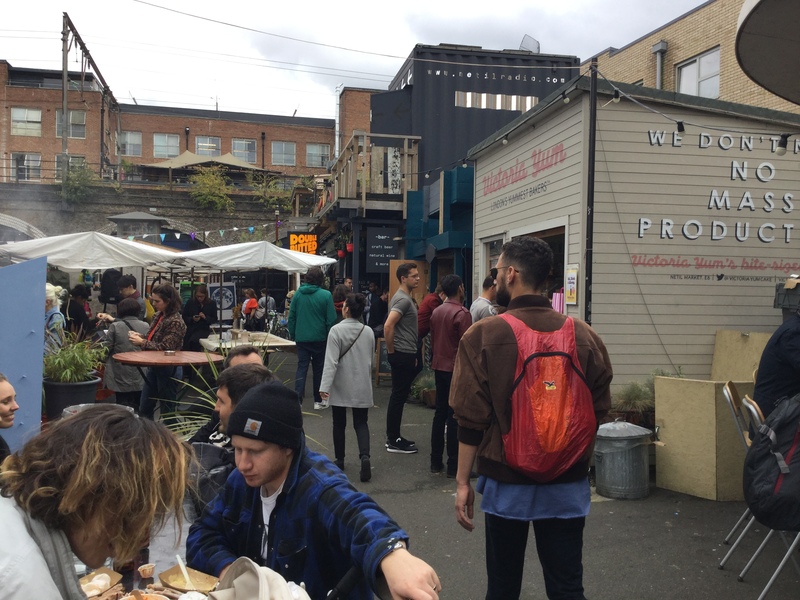 Stalls offer a variety of dishes, from burgers to Vietnamese buns to tacos to falafel wraps-there’s even a vegan butcher offering cuts of veggie sausages and burger patties and bacon to takeaway for home meals, as well as the requisite cheese and wine merchants. 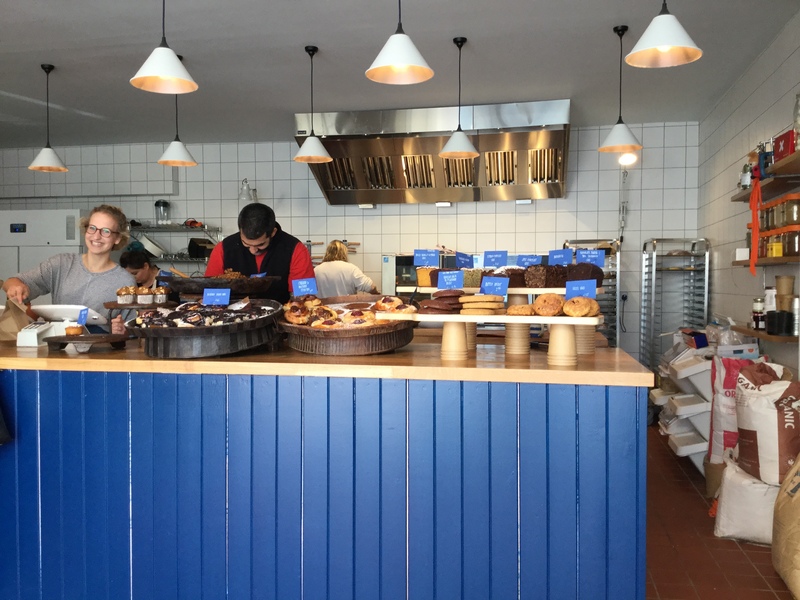 I longed to sample a doughnut from the Dough Society, but demand was such that the poor seller had completely run out of stock, forlornly awaiting a not guaranteed late-day delivery. Be warned, though, that prices are quite elevated, as they tend to be at most outdoor food events. Perhaps in response to this new kid elbowing his way onto the scene, Hackney Downs Vegan Market, which originally set up shop only on the 3rd Saturday of every month from 11-5, will now run weekly as well at the Hackney Downs Studios (the founder of this event, Big Fat Vegan, has an inclusionary policy of offering the majority of the space to women, members of the LGBTQ community, or those with disabilities). 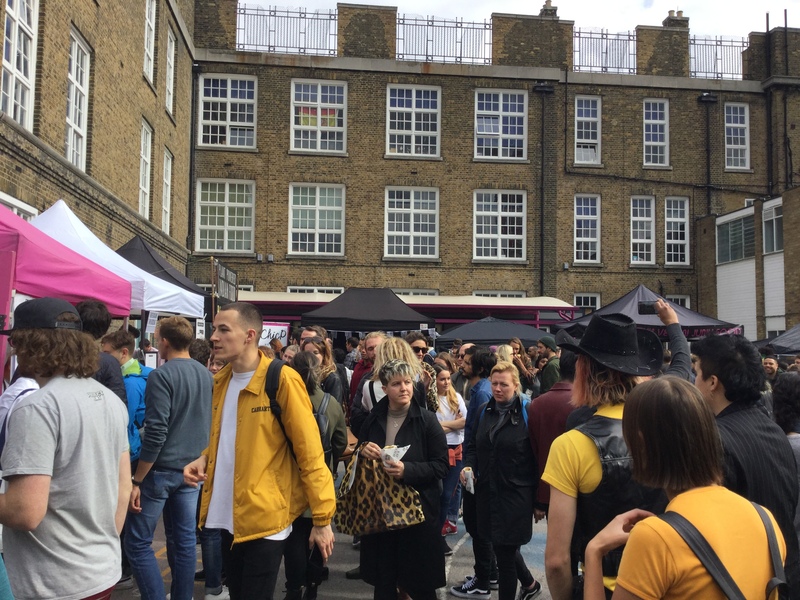 With two wholly vegan-based markets, both very worthy, London is certainly well represented herbivorously. As craft cocktail bars are so prevalently on-trend these days that it grows difficult not to stumble upon one every few steps taken, all that is left to distinguish one from the next is gimmick (the latest pop-up venture goes so far as to, perhaps disrespectfully, appropriate Turing’s enigma machine as a quirky means by which to fancifully order a drink, a sober and purposeful invention now a toy for bored, thrill-seeking millennials), and this unassuming establishment located on a traffic island in the busy thoroughfare carrying traffic from Tower Bridge into South London certainly succeeds brilliantly in that regard-it’s situated in a former public convenience. 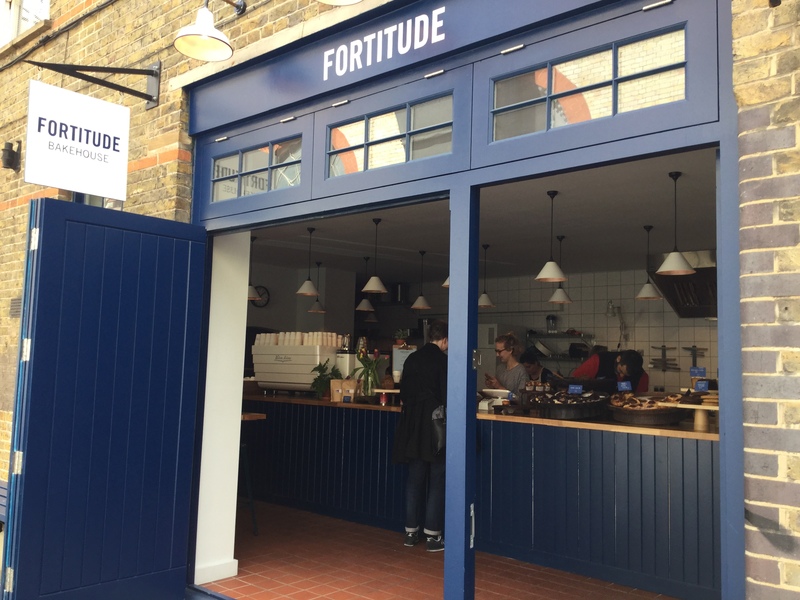 It joins the illustrious company of the Attendent cafe in Fitzrovia, CellarDoor on the Strand, Ladies and Gentleman in Kentish Town, and WC-Wine and Charcuterie (a very cute titular homage to the original uses of the space) in Clapham Common in refashioning the grot and ruin of these abandoned and singular Victorian structures. 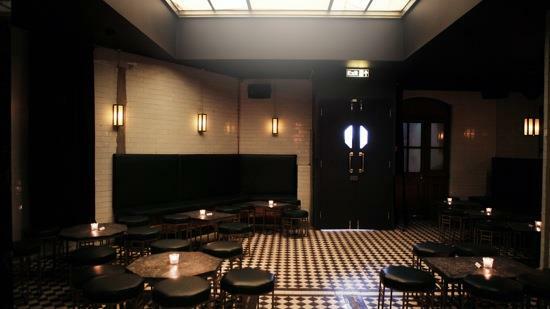 In fact, Bermondsey Arts Club was in the vanguard of this movement, opening its doors in 2014, the renovation carefully overseen by fashion photographer/bar impresario George Garnier, who provided a scrupulous polish to the original features, and a few modern updates to warm the environment. As you make your way through the lounge doors at the bottom of the steps, an unexpected vault of space greets you, with chairs and low tables situated around the periphery, a beautiful mosaic floor stretching out beneath your feet, and clear, clean walls of porcelain tile signalling and proclaiming the building’s history. Lighting is set at a flatteringly dim, cosy wattage, offering a restful intimacy. The bar menu is short and simple, most drinks priced at £9.50 (with the exception of a handful of spritzers at £7.50)-the Ron Verde, with spiced rum and hints of both apple and vanilla had a pleasant tropical flavour, while the Extradition, with its concentrations of strawberry and apple along with pisco and passoa, wound up tasting akin to bubble gum, not unappealingly. Weekly live jazz sessions are a fixture on the events calendar. 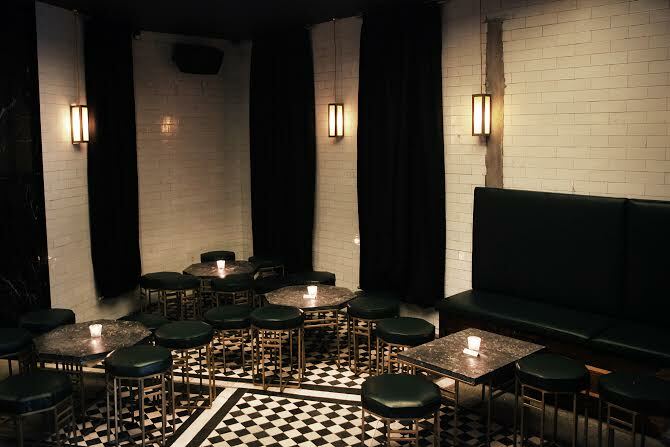 The subterranean fact of this club gives the whole experience of a visit a certain secret and slightly decadent kick, a decidedly novel evening out, and is a perfect choice if you should desire an alternative drinking expedition. It’s easy to feel as if you have absolutely left all earthbound conflicts behind you in the descent.